Discussion Happy New Year Gift! 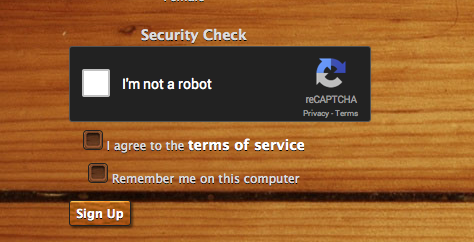 This discussion is related to the No Captcha ReCaptcha addon. I know that some people have been asking for this. So I thought it would be a good new year's eve project. 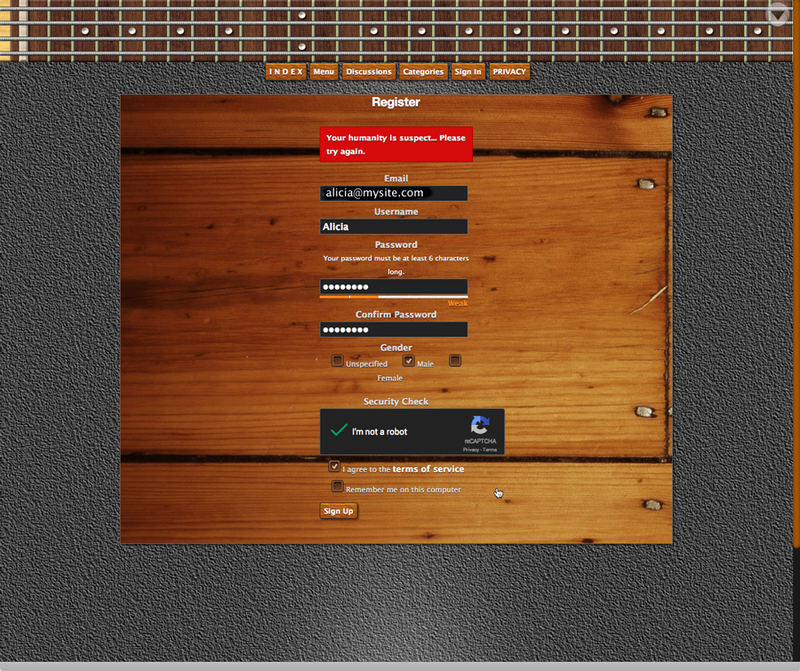 This plugin will add a registration option for it. Unfortunately this breaks user registration. I continually get the error "passwords do not match," while this is enabled. Disabling it fixes the problem. Could this be related to the body tag? is it a public site? Could be malformed markup. If you want to use the dark theme for the box you can add parameters to the div that holds the box , in the case below I went with the dark theme adding data-theme="dark" if you want audio instead of image add data-type="audio"
I take it the plugin works for you? Unfortunately this breaks user registration. I continually get the error "passwords do not match," while this is enabled. I got that too. I think the form is too sensitive on focus. If you ignore the error and go to the captcha and enter the text, it says verified you are not a robot and the page refreshes. The password seems to have been accepted because it does not say that it does not match anymore. However you get the Humanity is suspect error even if you entered the text correctly. The same key you had for the old captcha seems to be the same for this one since it is site wide. I could not get new keys or rather no new keys are available. When people get "password don't match" is this the dynamic typing check, or is it after submission? Ok regarding the password check I think I can reproduce the error, will make a fix shortly. Good catch. That is an enabling only relating issue. Will update the plugin. Hi. Right now I tested version 0.1.4b. Unfortunately same error as with former version 0.1.3b. it should not produce an error, try merging files without disabling. Or if you disable, set the current registration method to something else.